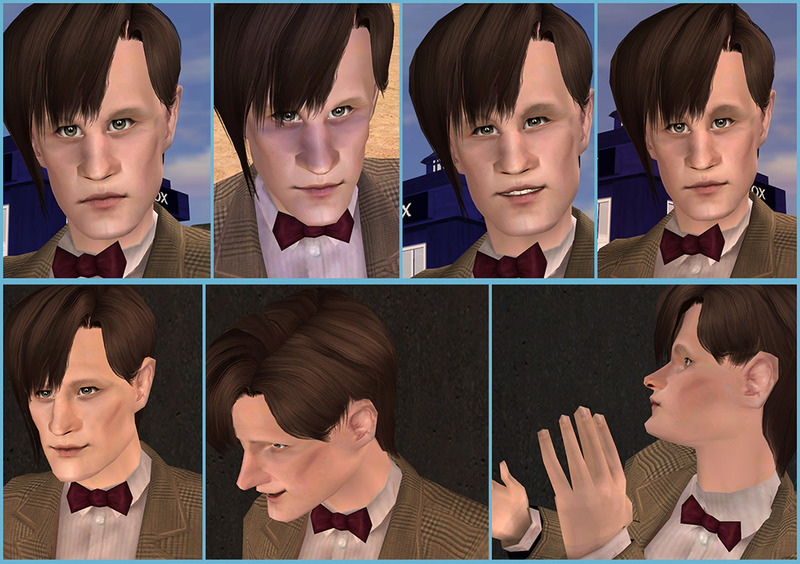 You all know how much I love simming somewhat unusual faces...add that to my love for Doctor Who, and the sim of the Eleventh Doctor had to happen sooner or later In all honesty though, I never actually thought I'd do it, because I kept seeing people saying about how it would be difficult for a sim to convey his features well. 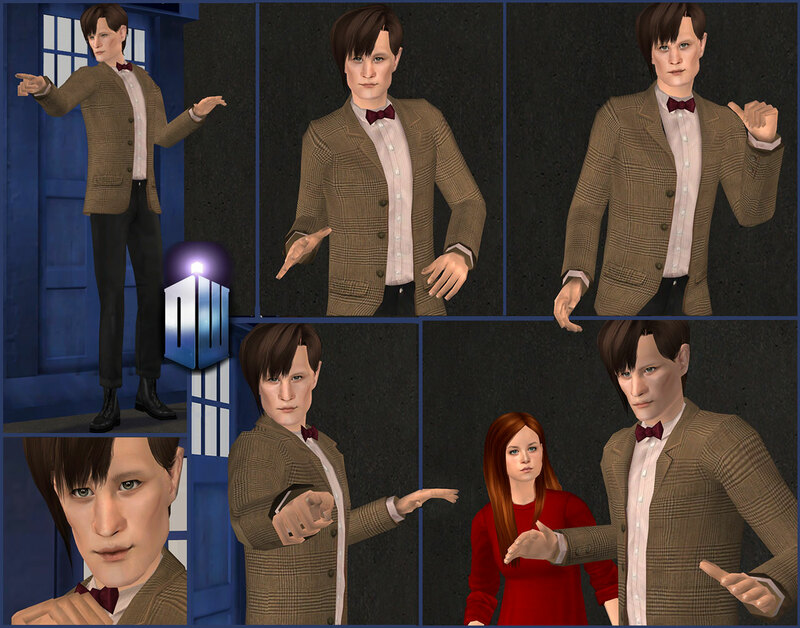 But whenever I would watch a new episode, a tiny simmer in me would start poking me to try...so I did (obviously). And lemme tell ya, it's just as tough as I thought it would be. You have no idea how many times I thought I was done, took in-game close-ups only to realize there's more tweaking to be done. It's kind of pathetic, really. The outfit: The outfit is by me and the polycount is 2436, pretty much like any standard Maxis suit. I tried to make it match the original as much as possible. 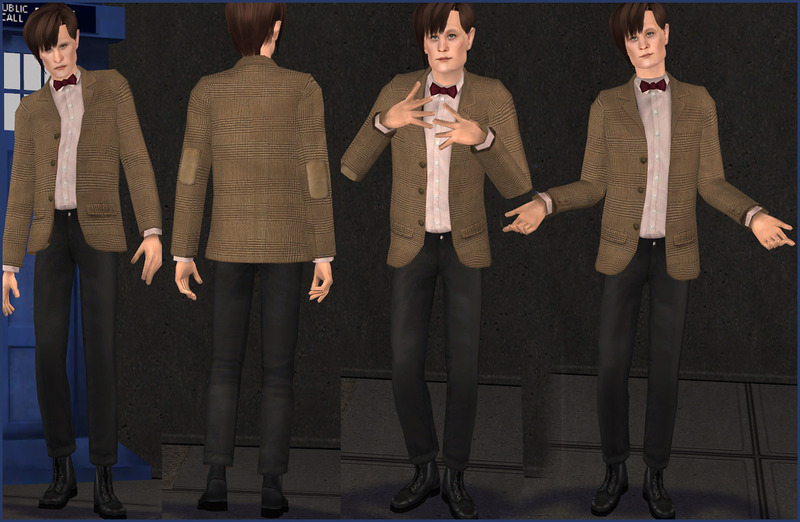 I might make the version without the coat, when I recover from making this sim. 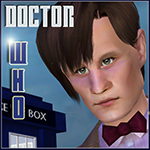 The face: I dunno if you could call that cheating, but the Doctor's face has been modified quite a bit in Milkshape after I did everything I could in BS, because, well...ya can't make those ears in Bodyshop All ages and both genders have been modified as well. As you can see, I had loads of fun taking pictures I went a bit overboard and made a whole new posebox just for these photoshoots. There are more pics attached, so please check them out (oh the four-inline-pictures-limitation rule, how I sometimes wish you weren't needed). 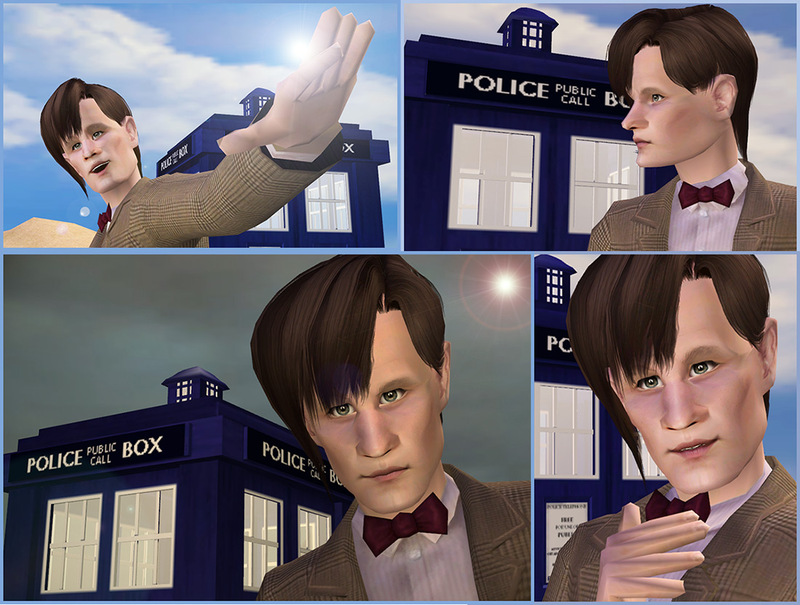 I hope you will also have fun playing with the Doctor sim and taking pictures! 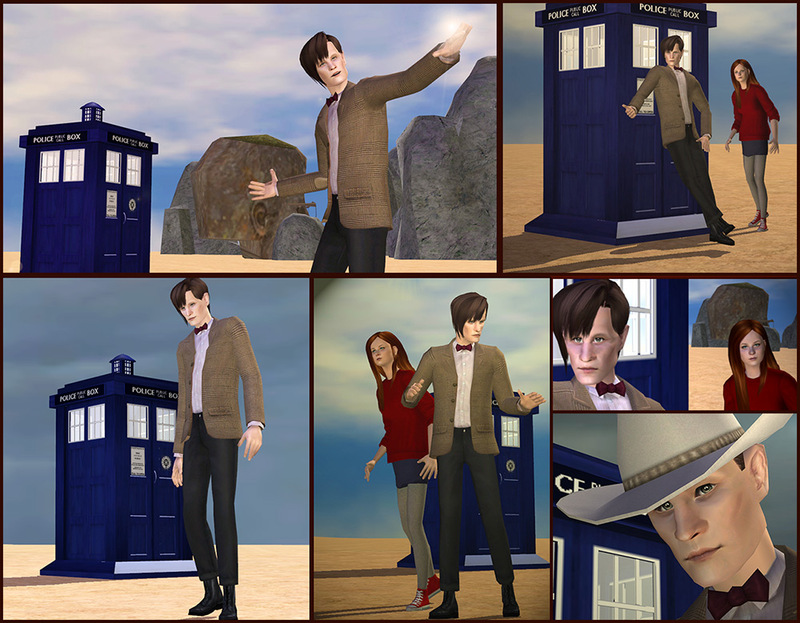 Please see the list below for the links and credits for all the awesome CC used in my pictures. 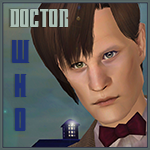 - Special thanks to Needlecream whose skintone I've edited to suit The Doctor better. 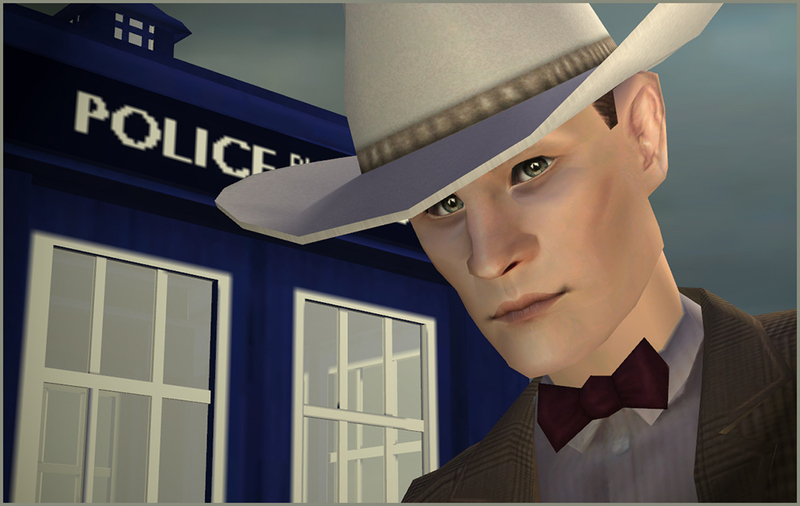 These recolours may or may not be endorsed by MistyBlue. [H]ouse M.D. - The man himself! !